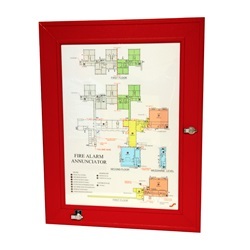 Display the graphic detailing the layout and vital information of your building on a durable, commercial-grade panel with our XL8 series of annunciators. This NEMA type 3 or 3R welded enclosure protects critical system components for safe outdoor use, and your detailed graphic is protected by a transparent polycarbonate layer with zones clearly illuminated by powerful LEDs mounted to a rear aluminum plate. 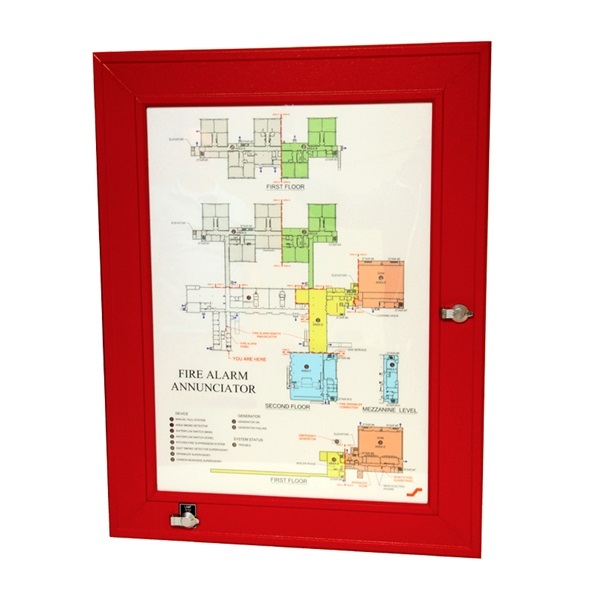 Every annunciator is unique to your installation, and our expert team will be thrilled to guide you through the detailed design process all the way to production. Listed below are just a few basic examples of annunciation solutions we can bring to life, but please give us a call at 1.800.486.1723 or email at sales@1sae.com to order so we can be sure to include every important detail to meet your requirements and provide you with the most accurate price.